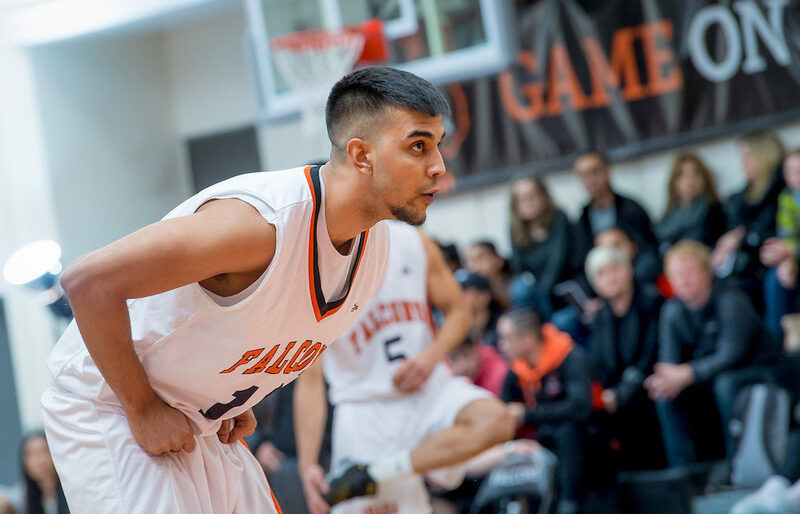 Five years later, however, in their second go-round as head coach and player, this time with the PacWest’s Langara Falcons, it’s happening all over again. “This year, with all of the injuries we’ve had, he has stepped up beyond my wildest dreams,” says Eberhardt of the explosive fourth-year guard who this season is back to playing the role of difference-maker for the first time since the 2013-14 high school season when the duo were front-and-centre in the fourth-place finish fashioned at the provincial AA championship by Richmond’s R.C. Palmer Griffins. “I can still remember we’re playing Notre Dame in the Lower Mainland finals, and it’s this incredible battle we’re having between Antonio and (Notre Dame’s ) Aldrich Berrios,” begins Eberhardt of what was his final full-time season as a high school coach. Fast forward some five seasons later, where this weekend Langara (5-5) plays host to the visiting Columbia Bible College Bearcats (0-10) both Friday (8 p.m.) and Saturday (7 p.m.), and Jhuty will be announced to the home team’s faithful as the PacWest’s leading scorer at 27.4 points-per-game. 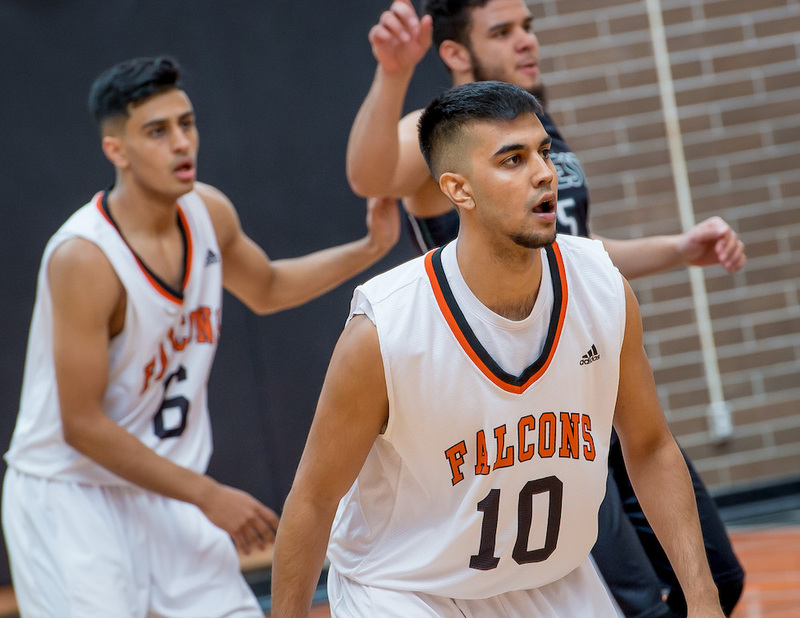 Then two months from now, March 13-16, Jhuty will get a chance to help his team compete for his sport’s biggest prize as Langara plays host to the CCAA National Championships at the Langley Events Centre. Interestingly enough, the 2013-14 season in which Eberhardt led Jhuty and the Griffins to fourth-place at high school provincials, was the same season in which Eberhardt coached Langara to the CCAA national title. That season, nationals were held at Quest University in Squamish. This season’s CCAA men’s basketball nationals in Langley marks the first time the tournament has been held in B.C. since Langara’s title run. 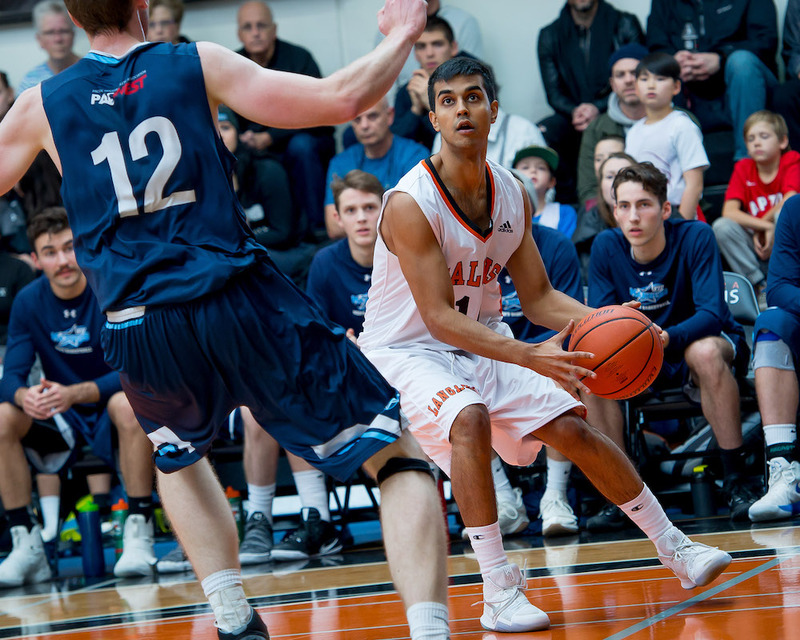 After spending two seasons out of high school in Abbotsford with the U Sports’ Fraser Valley Cascades, Jhuty came to Langara as a second-year redshirt in 2016-17. This season, after two years in an apprentice-like role, he has exploded onto the PacWest scene, not only leading the conference in scoring, but sitting at No. 1 in both free throw makes (8.1) and trips (9.8) per contest. For Jhuty, there is the ability to hit the deep, deep three, but as those free throw numbers suggest, so much of his game is based on his blue-collar desire to put his head down and drive to the basket. And there is no denying the fact that when the team lost its two-time all-Canadian point guard Ravi Basra, the former Windermere star, to a season-ending knee injury, the fulcrum of responsibility shifted to players like Jhuty. Former Abby Panther Moeiz Athaya (18.9 ppg), ex-McNair point guard Royce Sargeant (17.8 ppg) and ex-Glenealge forward Grant Galbraith (15.9 ppg), three other double-figure Falcons, are part of the group pushing forward after the loss of Basra, who last season was fourth in conference scoring at 16.6 points per game and first in assists at 8.3 per contest. And speaking of Eberhardt getting mesmerized by Jhuty’s scoring, much like he did back in high school, there was a five-game span earlier this season, capped by a CCAA career-high 41 points against Camosun Jan. 4 in which he averaged 35.2 ppg. Through the first 10 games of the PacWest season, no one is arguing and Antonio Jhuty isn’t prepared to stop until the middle of March.